When a shopper decides to make a purchase online, they expect the brand they choose to offer a frictionless shopping experience. By that, we don’t just mean a gorgeous looking online retail store. We’re referring to how smooth an experience can your store offer right from when they reach your retail store to when they make a successful purchase. Frictionless shopping refers to online retailers offering shoppers an easy and seamless way of making purchases from them. Right from searching for products they want to buy, adding them to their cart, editing the cart to completing the purchase, it is all about making online shopping easy. But in addition to it all, frictionless shopping means ensuring to eliminate anything that might cause a negative consumer experience or doesn’t add value to the shopper. Including them being able to find loyalty cars, discounts on your store and using offers they found on another while checkout. You also probably know it as the Amazon effect, where the shoppers can almost immediately complete a purchase on finding the product they want. In short, anything that triggers frustration is the shopper, causes friction in online shopping. While you focus more on the user interface and experience aspects such as building consumer-friendly forms, making password authentication simple, asking for permission in-context, making customer service information easy to locate, highlighting added values and continually optimizing your checkout process, there are still some unseen reasons that cause frustration in shoppers. Majority of your shoppers are looking for better deals, discounts, coupons, and cashback offers on the products they want to purchase. Reports suggest that retailers who are able to offer discounts to consumers at the right time are the ones to bag more sales. But here’s the glitch. Your site isn’t the only place a shopper looks for coupons. 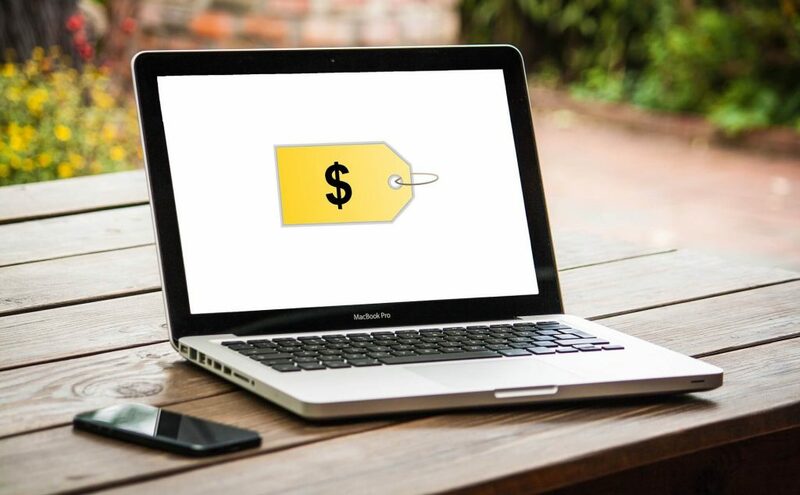 They actually look up discounts on the search engine and land up on your affiliate or coupon sites that host multiple coupons – dating back to even those that are no longer valid. What’s the problem here? Let’s explain this with an example. You reach a retailer’s site, add the products you want to the cart. Then to lower the cart total, you open another tab and search for <brand name> coupons. You open the top three results to access the coupons they are offering. You copy that coupon, come back to the retail site and apply it to the cart total for a discount. And then you’re told it is INVALID. Things are still okay till here, and so you head back to the coupon site to look for another code. You come back to the retail site, add the new coupon and it again tells you it is INVALID. By now, you no longer want to make the effort of looking for coupons, are wishing the retail store could give you a discount and don’t even want to purchase the products at their full offered price. You’re frustrated with the friction caused, and so you leave – either to a competing retailer’s site or to reconsider making the purchase in the first place. Stepping back into the retail store owner’s shoes, you just lost a sale. But at the same time, you also ended up paying those sites an affiliate amount for sending shoppers back to your site with coupons – albeit, invalid ones. Now you can implement a number of popups on your site or use banners to promote discounts. But the typical behavior of an online shopper will continue to be the same – they just have to see if they can find a better offer than yours. The trick to removing this friction? Identifying and engaging your price sensitive shoppers at the right time. The very first step to ensuring frictionless shopping is understanding the different types of shoppers on your retail store and why you’re not able to convert them. Then your on-site strategy needs to include segmenting these shoppers into types, categorizing them by their behavior, purchase triggers and other characteristics. Let’s take for example the case in point here – price-sensitive shoppers. These shoppers want to make a purchase but are constantly looking for cheaper alternatives or coupons that will sweeten the deal. They will typically add items to their cart, look for coupons on the checkout page and when not found, will open another tab to search for discounts on other sites. These shoppers will try a minimum of two to three coupon codes they find on retail affiliate or coupon sites, on the checkout page. If one of them works, you get a sale. If they all don’t work, you lose one. The clear indication of a price-sensitive shopper is them leaving your site and coming back with coupons to try. That’s exactly your opportunity to remove the friction caused by disappointment and engage these shoppers. Here’s how it should all go now. Shopper goes to another site and comes back with a coupon that is invalid. They try again and yet come back with another coupon that just doesn’t work. They’re typically going to either look for another coupon or leave your site – that’s when you target them with a smart engagement window showcasing the deals that are running on your site. Tell them which coupons are available, or even better, give them a special discount coupon. This smart conversion tactic decreases your cart abandonment rate and also tells the shopper that the next time they can find deals on your site itself. You remove shopper frustration by keeping him engaged with an offer. But you also end up cutting out the middlemen like coupon sites, reducing your affiliate payouts and increasing your overall revenue. Let’s explain this one straight with an example. If you like to shop online, you naturally would like to compare prices across different retail stores to bag the deal that suits your budget the best. But what these web apps and extensions also do, is inject malware into the consumer browser. And that leads to different distractions popping up on your site on the consumer front. Some of the most common distractions caused by consumer-side browser malware include competitor deals, price comparisons, adult content, intrusive pop-ups, and video ads. And they vary for every shopper. Each one of them either ruining your on-site experience as a shopper or luring you to another website. Either way, you’re leaving the retailer’s site. Now as a shopper, you have too much friction to battle with to reach the deal that you want to use for the purchase. And as a retailer, you’re losing about $25B in revenue to these distractions. While you can’t do much about the distractions around the shopper – like having to run out for a chore, being called for work, etc; you definitely can remove the online distractions. This wouldn’t just let them focus on one thing at a time – completing the purchase, but also prevents your sales from walking to a competing store. By actively identifying the malware strains injected by the web apps and extensions on the consumer browser, you can block out the distractions in real-time. Simply put, you can hide the distractions on the consumer browser even before they pop up on your site. No distractions automatically mean frictionless shopping and that means more sales for your retail business! Retailers today need to understand that it isn’t just the offers that a shopper is looking at. There are those who seek experience more than the deals they can get, but there are definitely those who wouldn’t mind an additional off on the purchase they are making. But most importantly, it is important for retailers to enable ‘easy shopping’ with a positive on-site experience. That’s where data and technology come into play. It’s time for retailers to look into who their shoppers are beyond the general demographics, identify their purchase patterns and then optimize the approach to converting them using smart technology for conversion optimization. 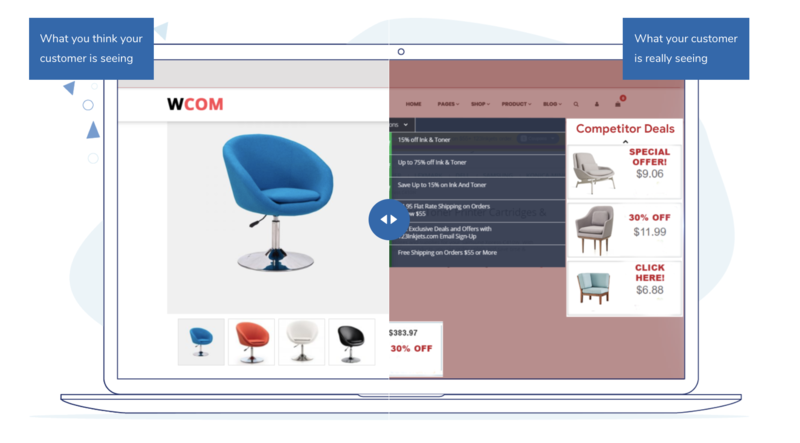 Ready to offer a frictionless shopping experience to your customers? Let us show you where to get started.